ANOTHER BRIT STABBED TO DEATH IN SOUTH AFRICA: WILL THESE FOREIGNERS NEVER LEARN? HOW many tourists, foreigners and visitors from overseas still have to pay the ultimate price for their obsolete ignorance? How many times must one slap it in their faces that South Africa- their own “rainbow” creation- is not a safe place to visit anymore? They are foolhardy idiots that simply just do not want to learn or accept that during ‘apartheid” this country was a safe place – even to walk at night. During “apartheid” there was law and order, discipline- and justice. But the world at large- toed by the noses by predominantly the British vulture media- were pumped full of propaganda poison and had other ideas. They decided that ‘apartheid” was a demon- a demon that simply had to be destroyed. The irony is that in their stupidity and hypnotized state of delirium trementos– they replaced that “demon “ with the devil himself! But as near sighted and thick headed as these foreigners are- they are hell bent in their misdirected beliefs that the white Afrikaners and Boers are lying through their necks when telling them the country they created is a dangerous gangsters’ paradise-especially if you are white- and that their “democratic” South Africa with their “democratic” chosen ANC hoodlums they installed- actually are a tourist and foreigner’s nightmare. It is then when they start getting careless and too “familiar “ with their daily routines that they eventually pay with their lives for their insolence. Such again was the sad case of yet another British foreigner. A British birdwatcher was stabbed to death by a robber in South Africa when looking for a rare species. 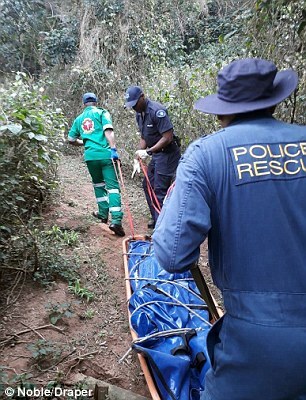 Simon Milliken, 60, was chased and stabbed by a black thug for his camera on a trail just 500 yards into the Burman Bush nature reserve near Durban. His American companion managed to escape and alert rescue teams but they were unable to find Mr Milliken after he staggered dying into dense forest. Mr Milliken was found the next day by a police tracker dog with stab wounds which had pierced his lungs. Police have launched a manhunt for the thug after he escaped with Mr Milliken’s possessions. A source close to the inquiry told The Sun last night: ‘It looks like he could have bled to death during the night from a punctured lung and was alive for a long time. ‘There are lots of questions being asked about the speed of the recovery and we’ll have to wait for the post mortem examination. 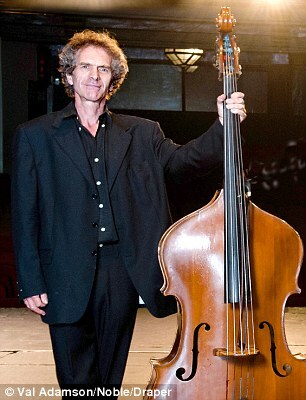 The closest tracker dog from the police K9 unit was in Richards Bay 170km away.’ The Briton was a prominent musician, playing principal bass with the Kwazula-Natal Philharmonic Orchestra. He had a home in Durban but had a mother and brother in the UK, who were understood to have been informed yesterday. Mr Milliken was walking with visiting US & Hong Kong based conductor PerrySo who had been conducting the KZN Philly for the last two weeks. The sad case of Millikin again – like the Amy Biehl incident- high-lights the fact that as long as these white liberal foreigners have their minds wired back-wards and keep on believing that South Africa is that “peaceful” country consisting out of little pink bunnies with flowered scarfs their false media reports and the South African regime wants them to believe- they will keep on dying like flies. Afrikaners keep on reminding them about the horrendous murders of white farmers- about the on-going genocide, about the horrible crime rate- but like the international rabbits are- blinded by their “democracy” – they keep on ignoring hard facts simply because their stoic mind set still got stuck in the “apartheid” vintage era. When Trump tweeted about the farm murders and genocide in South Africa – liberals all over the world crucified him for daring to speak the truth. They simply do not want to hear any bad things coming from their “rainbow “ dreamland. More people have been murdered in South Africa over the last 10 years than died in the Afghanistan war or in the bombing of Hiroshima…and that is a fact! The government has just released South Africa’s crime statistics for 2017/2018. They show that some 20 336 people were murdered in the last year measured. This is the highest murder number the country has ever recorded. The statistics over 10 years compare unfavorably with deaths in the Afghanistan war or in the bombing of Hiroshima. ANC Police minister, Bheki Cele said of the statistics that they ‘bring us close to a war zone’ with 57 people murdered a day. The SA Police Service releases the yearly crime stats on Tuesday, September 11 2018. Yet with all this hard evidence liberals the likes of Millikin still took no precautions and wandered alone in an area perfectly suitable for Africa’s homicidal maniacs. He- like the majority of liberals- had too much faith in their African pets. Millikin – as a supposed to be “resident” with two passports (naturally) – should have know much better than start wandering off into the “African wild” on his own without sufficient protection. NO-WHERE in South Africa are you safe anymore. Since 1994 the country was flooded with with all kinds of predators- dangerous psychopathic “previous disadvantaged” predators lurking in bushes, along lonesome pathways , near residential areas, in shopping malls, – and in nature reserves- waiting and poised to ambush the unwary hapless white prey. Waves of foreigners already were killed in South Africa by this roaming “Tsotsis”– and especially if you are white and alone- you have one big fat old target on your back. Millikin became a victim of his own negligence. Sadly- To try to convince a white liberal about his/her own f*ck-ups- is like trying to convince the devil himself to repent his own. They simply cannot phantom that this so-much hailed “rainbow nation” they created around their demi-god Mandela in fact would turn out to be the biggest single mistake the international community could have committed post WW2. Dogs never like to go back to their vomit. Now they pay the price for their foolhardiness. Despite reports and statistics of this attacks and murders on local farmers and white foreigners- white liberals still foolhardy refuse to accept their African pets can become their worst nightmare. After all that is not what their false British media keep on telling them. The white Afrikaner is portrayed as the worst animal on African soil- done and dusted! Your typical cut-through liberal: Gillian Schutte–“ I am the person who exposed Judge Mabel Jansen’s racist utterances on social media. To be accurate, these utterances were openly and voluntarily expressed on my Facebook page in a public debate.All Whites are Racist Until Whiteness is Defunct.” This is one of the worst cases of liberal deficiencies. This woman suffers from a fatal liberal mental defect for which there is no known cure available. To show how totally ignorant this international liberals are- the Belgian government committed €30m to South Africa’s “land reform” process, Minister of International Relations and CooperationLindiwe Sisulu said on Monday after a meeting with that country’s deputy prime minister and foreign affairs minister, Didier Reynders. So now Belgium- a predominantly white country- approves white farmers and whites in general in South Africa to be dispossessed! Again this is an international war by white liberals against the white Afrikaner.I wonder how many foreigners have been attacked by white Afrikaners compared to foreigners attacked by black hoodlums? Instead of trying to stop the white genocide of their race – idiots like Reynders still supports it. And they wonder why whites like Millikin gets murdered? We are sorry for yet another white life unnecessary lost in this God forsaken land and offer our sincere condolences to his family- but the sooner white liberals and especially the gullible kind from abroad do a reality check and start to wake up from their midsummer-night’s dream- the better for them as the blood of many more will stain the soil of Africa before long. But as long as the malicious fake press keep on inducting international whites about that pseudo “democracy” down South- they will keep coming to the South African “democratic” abattoir to get slaughtered by the African butchers. And the irony is these white liberals will never learn- the butchering will go on. Ironically “Political correctness” sometimes could be a very dangerous carnivorous predator on the prowl – who on the end devours it’s own master. As long as liberals across the world stick to their contorted outlook that nothing can go wrong in South Africa- they will keep on dying through their own naive misconceptions. Africa is no place for weaklings- least thick-skulled liberals.